The Tweet Bubble Series | F.A.T. How to show off your tweets in real life. 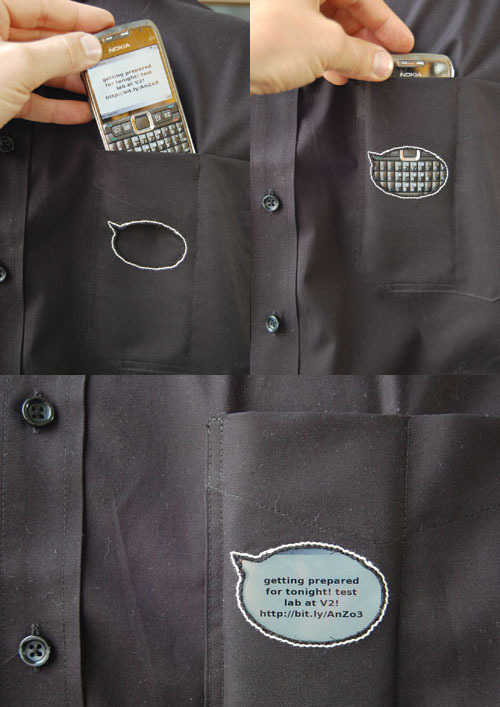 ‘Pocket Tweets’ ! Why not using the mobile phone as a personal public display? Download PocketTweets.jar and see instructions. Check all 4 versions of the Tweet Bubble Series which were developed during a three months residency at V2_, Institute for the Unstable Media, Rotterdam ,NL. What would it be like to show your latest tweet in real life?!? All hardware development documentation and SOURCE CODE available here. « Weekend of the white glove!